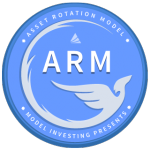 The Asset Rotation Model (ARM) helps you determine whether to be positioned in stocks, bonds or cash. It utilizes a dynamic approach to asset allocation, allowing you to earn higher returns while taking on less risk. This tutorial will guide you through applying the ARM’s recommendations to your own personal portfolio. The Asset Rotation Model is updated monthly. Updated recommendations are accessible with a premium subscription and are available on the first trading day of each month. They represent proper positioning for the duration of that month. Updated recommendations can be accessed through the Current Recommendations page, available at the top of our home page once you login. An email is sent out each month to alert you that updated recommendations have been posted. To get the most out of the ARM, you will want to update your holdings immediately upon receiving the latest recommendations. Note: If you invest primarily through you employer sponsored 401(k) plan, or the Federal Government’s Thrift Savings Plan (TSP), please see those specific models. The recommendations provided by those models utilize similar logic to the ARM, and are customized to provide more tailored guidance. The most straightforward way to leverage the ARM is to follow it exactly, as it rotates between stocks (SPY), bonds (AGG), and cash. If the ARM selects SPY – the SPDR S&P 500 Exchange-Traded Fund, sell any previously established positions and move those funds into SPY. Use ticker symbol “SPY” to find this fund through your online brokerage account. If the ARM selects AGG – the iShares Core U.S. Aggregate Bond Exchange-Traded Fund, sell any previously established positions and move those funds into AGG. Use ticker symbol “AGG” to find this fund through your online brokerage account. If the ARM selects Cash, sell any positions you have in both stocks and bonds and keep the funds in your money market account. It is only under very rare and adverse circumstances that the ARM will move to cash. If this is the case, it means both stock and bond markets are in a downward trend and the best place to be is on the sidelines, in the safety of cash. 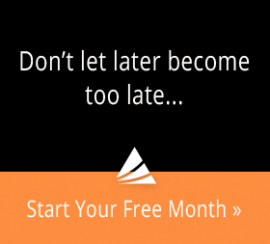 You will need to monitor both the ARM and your positions monthly. The historical backtested performance of the ARM is based on following the model exactly, maintaining exposure to only one asset class at a time, and moving the entire portfolio according to each month’s recommendations. While the results speak for themselves, we understand if you are hesitant to fully embrace an investment strategy that you are not familiar with. If that is the case, we suggest using only a portion of your overall portfolio to follow the ARM’s recommendations. 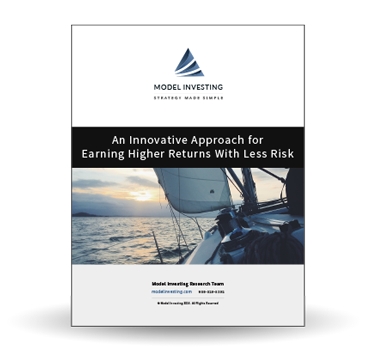 As you see the results over time and become more comfortable with the model’s performance, then consider applying this strategy to a greater percentage of your total portfolio. For more sophisticated investors it is not necessary to restrict your investments to only SPY when the model selects SPY, or AGG when the model selects AGG. The key concept to understand is that the model is using these two funds as proxies for stocks and bonds. When the ARM selects SPY, it’s an indication that stocks in general are performing well and are where your portfolio should be allocated. When the ARM selects AGG, it indicates that stocks are in a difficult environment, possibly on the verge of a market crash, and that bonds are the best alternative at the time. This means that you may substitute other forms of exposure to stocks when the model selects SPY, and other forms of exposure to bonds when the model selects AGG. Please note, however, that using different investments will result in your performance differing to some extent from that of the ARM. Note: The ARM works in sync with the Sector Rotation Model (SRM). When the ARM recommends stocks, you can utilize the SRM to find and invest in the top performing sectors of the market. All items in green are acceptable investments, but we recommend you stick with the highest ranked options to achieve optimal performance. 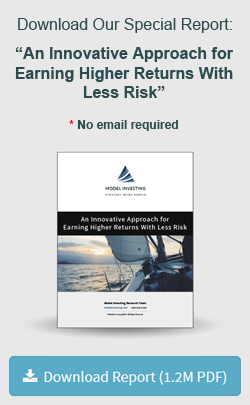 A final reminder, not following the ARM’s exact strategy and recommendations will result in returns that differ from the model’s historical and future performance. This wraps up the ARM Tutorial. If you have any additional questions, please reach out to us by using the Contact Us page or sending an email to support@modelinvesting.com.